Plans have been concluded by Igbo Bu Igbo, a leading Igbo sociocultural association, for its inauguration conference billed to hold in Enugu on December 1, 2018, under the chairmanship of Ven. Canon Prof Chinedu Nebo, Nigeria’s former Minister of Power, and former Vice Chancellor of the University of Nigeria, Nsukka. In a press release signed by Dr Law Mefor and Dr Mrs Bibiana Okereafor, Chancellor of the Group and Chairperson of the Planning Committee, respectively, the theme of the inauguration conference is “Ndigbo: Yesterday, Today and Tomorrow”. 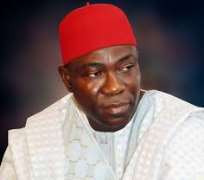 While the Deputy Senate President, Prof Ike Ekweremadu is the Special Guest of Honour, the Enugu State Governor, Rt Hon. Ifeanyi Ugwuanyi, is the Chief Host. The keynote address shall be delivered by Prof Obasi Igwe, a former Dean of the Faculty of Social Sciences at the University of Nigeria, Nsukka, while Prof Emeka Nwabueze, Director, African Studies, University of Nigeria, Nsukka, shall be speaking on the topic, “Sociocultural and Political Evolution of Ndigbo”; Dr Amaechi M. Ofomata, the MD/CEO of AMAECOM Group, shall deliver his paper on: “Rethinking the Igbo Phenomenon for Sustainable Commerce, Industrialisation and Security of Igbo land”. Ambassador Dr Umunna H. Orjiako, a former Ambassador of Nigeria to Switzerland, shall be speaking on the topic: “Are the Igbos Loved or Hated? Perception of Ndigbo by others”. The Group said “Apart from our inauguration following our successful registration with the Corporate Affairs Commission, CAC, it has become imperative for Ndigbo to take another critical and honest look at their situation within the geographical and political expression of Nigeria, and chart a new but constructive way forward for the people. “With a very strong membership strength that cuts across all strata of Ndigbo’s sociocultural and political class both at home and abroad, and as a peace loving people who have no qualms fully settling anywhere in the world, we are determined to change the narratives concerning our people where such needs to be changed and strengthen them where they need to be strengthened. “Our inauguration conference is the first among many policies through which we shall achieve all our objectives for our people and usher even greater prosperity to them through our empowerment programmes covering all facets of endeavours. With what we have lined up for the inauguration conference, it surely promises to be an engaging and fruitful event”, the statement concluded.